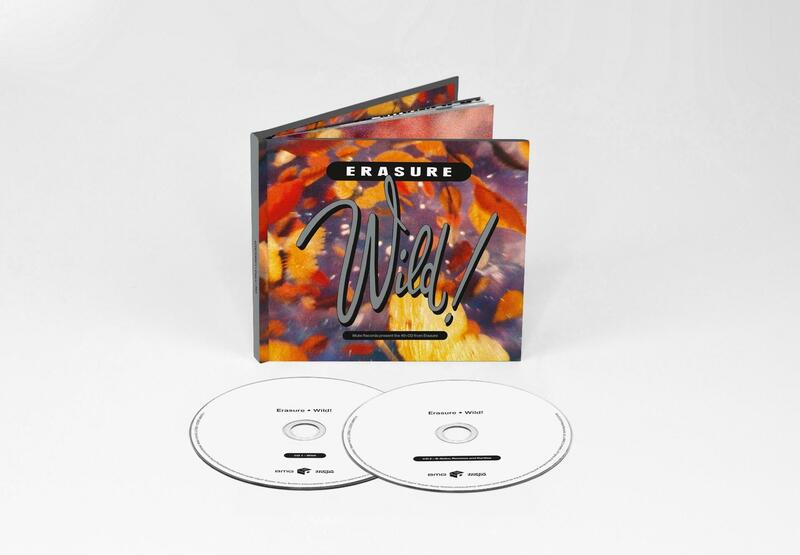 Originally released in October 1989, the classic Erasure album Wild! is the band’s fourth album and their 2nd UK number one. Featuring the four hit singles 'Drama! ','You Surround Me','Blue Savannah' and 'Star' the album is re-mastered and re-issued as a deluxe 2CD version in a hard back media book format with rare images, original photography by Pierre et Gilles and brand new sleeve notes. An exclusive bonus disc features five unreleased tracks including a brand new remix by Richard Norris (The Grid / Beyond The Wizard's Sleeve), a recently discovered unreleased mix of 'How Many Times? ', rare 12" remixes by Mark Saunders, Gareth Jones and Mute supremo Daniel Miller (with Phil Legg), cover versions (including the fan favourite 'Supernature') and exclusive live tracks recorded at London Arena, Docklands in December 1989. Click on the highlighted track listing links below for the official track videos. A limited number of exclusive Wild! badges will be given out randomly with pre-orders. 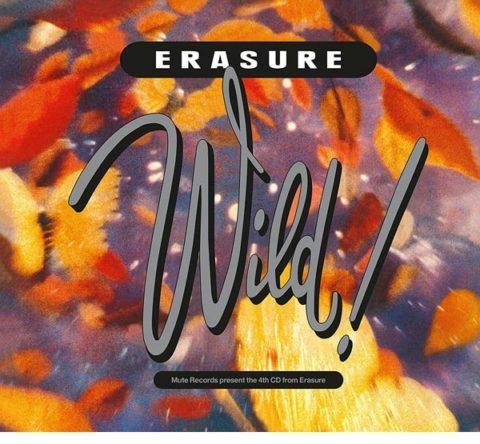 "Erasure - Wild! - 30th Anniversary Deluxe Edition", is out Friday, 29th March 2019 and available for pre-order worldwide now. NB: All products ordered with a pre-order will be dispatched together close to the latest pre-order release date. If you want earlier dispatched for another product then please place separate order(s). This is basically a joke... especially compared to previous reissues of 'The circus', 'Wonderland' or 'The innocents'. They wasted the DVD for the 'Moscow' boxset (totally out of place there) to push sales of a weak and ludicrously overpriced boxset + now come up with nothing. The so-called unreleased tracks, well, 'Piano Song' and 'Brother and sister' have been released on the 'Wild - Live at the London Arena' VHS (the one included in the above mentioned boxset as DVD). There is tons of material out there, including pro-shot shows from the outdoor leg of the tour + what do we get? A few b-sides and remixes and that is all for an excellent and very successful Album. Was really looking forward to this release, but another missed opportunity! crystal wrote: This is basically a joke... especially compared to previous reissues of 'The circus', 'Wonderland' or 'The innocents'. They wasted the DVD for the 'Moscow' boxset (totally out of place there) to push sales of a weak and ludicrously overpriced boxset + now come up with nothing. The so-called unreleased tracks, well, 'Piano Song' and 'Brother and sister' have been released on the 'Wild - Live at the London Arena' VHS (the one included in the above mentioned boxset as DVD). how are these any different from the earlier 2 disc releases. none of them were complete. the innocents came with a DVD, but that was about it. this is a budget release with unreleased tracks. it will be cheap, so why not. I'm getting it. £16 is hardly a 'budget release'. BigManRestless wrote: £16 is hardly a 'budget release'. The Circus and Wonderland both had DVD's. negative1 wrote: how are these any different from the earlier 2 disc releases. none of them were complete. As @moni already pointed out, all 3 past reissues had bonus DVDs that were a massive selling points. The first 2 Albums at least included really rare stuff (tv appearances, live@Karlssons on DVD / radio sessions on the bonus CD). The main point is: now they rerelease the album this way and that is it. A 2CD edition is simply not enough. But as said, it is now done this way + the chances for a better and way more appropriate reissue are gone. I always wait until its much cheaper used. I never pay the full price when it comes out. its that way for everything, and there will be plenty of these available. and yes, the DVD's are nice, but how often do you watch them. I actually buy these for the dvd's with tv appearances. A little bit bummed out that this one doesn't have it. Hopefully they will add it on by the time of the release. That's great news...although it's too bad that they didn't include Crackers International which was released by the same period. Yeah, Crackers probably would have fit on CD1, but then you will get guys moping that, "I want it just like the original (in terms of tracklist)." obs wrote: Yeah, Crackers probably would have fit on CD1, but then you will get guys moping that, "I want it just like the original (in terms of tracklist)." You can always press "Stop" when the original tracklist finishes, and Bonus Tracks kick in. One thing that might help the whiners would be if they put a silent gap between the last track and the bonus stuff, like 5s or so. That's what I always used to do when burning CD-Rs with bonus tracks. Great album and I was hoping they would figure out how to stick in an extra dvd disc by now but it doesn't look like it's going to happen. I was also hoping a little more on the bonus material. I'm still going to get it. "How Many Times" is my favorite from the album and that remix on the bonus disc is pretty cool.